All the imaginative ways a fun-loving child creates to delay going to bed! When will Flora ever go to sleep? Not until she’s done flim-flamming her parents! 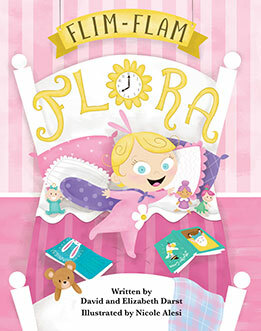 “Flim-Flam Flora has us laughing out loud. My six year old daughter loves reading it aloud to her younger three year old brother....and they find great pleasure in pointing out how Flora "flim-flams" just like them! We have been reading it every night, and it just seems to get better and better each time. This is a must read for little kids. They absolutely love it”!